Recently I have been putting more effort into my home wardrobe styling. Working from home it is easy to disregard wardrobe style in a forever attempt to get more done. the enjoyment process is lessened as well. but my time is still efficiently used. My hair is down about once a month...after I get my greys covered and my stylist blows it out. it is haphazard at best. I have found them to be a perfect at home solve. I made mine out of coton jersey). perfect at home style solve. with down to earth glamour. Tamera. You look beautiful. I must admit that I look like a hippie most of the time. My one way to look a little bit put together when I go out is to add a scarf or a shawl. Still bohemian but not so sloppy. Connie great idea for a finishing touch! I hope to see more of your bohemian style on your blog.... I loved your overalls! 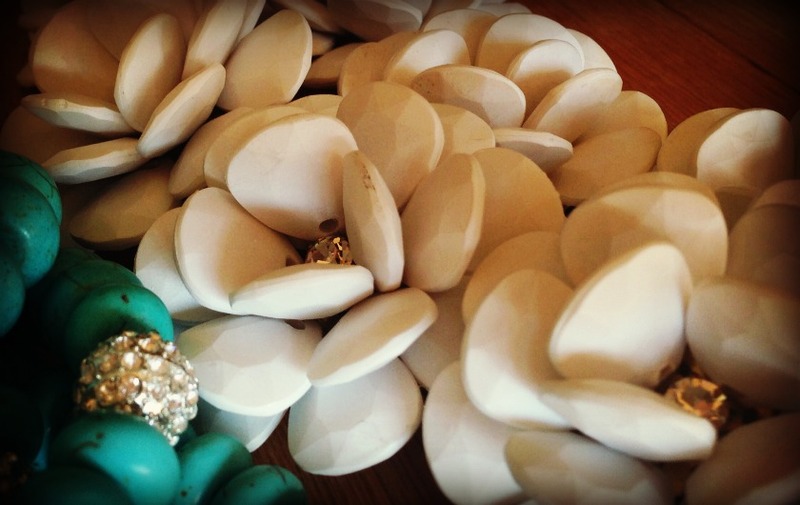 they reminded me to pull out my white summer version from Anthropologie. Thanks for visiting and sharing your style tip! 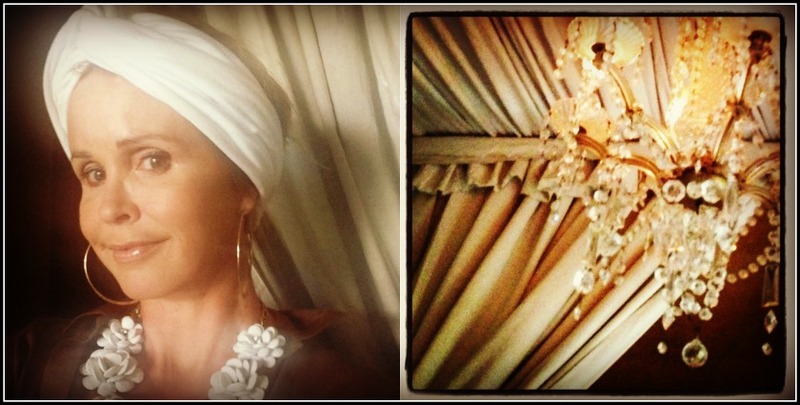 Hair up, down, in a turban, or hat...you look chic in anything Tamera! I always feel better when I attempt to fix up even if hanging out at home or running errands. It really does make a difference in your mindset. Have a wonderful week! Thank you Pam for your very kind words! I do so agree, a little investment of time in fixing oneself up...makes such a difference! Loved seeing what people were wearing at the stylish wedding you attended! Right back at you Patti! Thank you for forever championing ... still being visible! Great pics and very elegant. I have my hair razor cut. All I do is wash it, apply some styling products and let it air dry. It falls into place without any fuss. That is my shortcut. Wow Marla that sounds fabulous and so chic! What a great tip, thank you for sharing! Thank you my dear for your very kind words I absolutely agree about being happy .... no accessory can compete with a happy hearted smile! I do believe your very avant gaurde haircut adds supreme style to all you wear! Amazing amazing jewellery, I'm in awe! You look delightful in each and every portrait dear Tamera. Thank you dear Emalina. you are so kind. the pictures of you in your granny's wedding dress are nothing less than enchanting. Some women just 'got it!' and you've definitely 'got it' my dear Tamera. You are style and beauty and creativity all rolled into one. Your beauty comes from within and shines in these gorgeous images. 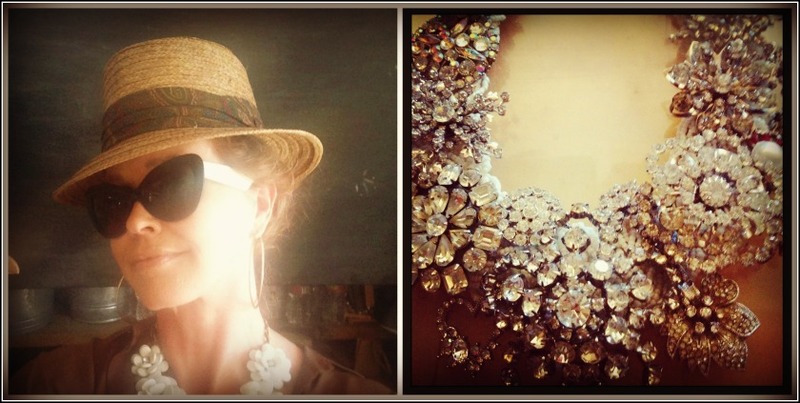 Your jewelry and turbans-more touches of fabulous. Lovely post and happy week! PS-my hair almost always ends up in a high pony tail at the end of the day too. Heather thank you for such very kind words my dear! I so enjoyed your Wonderful guest room tips you! I just love all your turbans and hats! Thank you my dear! 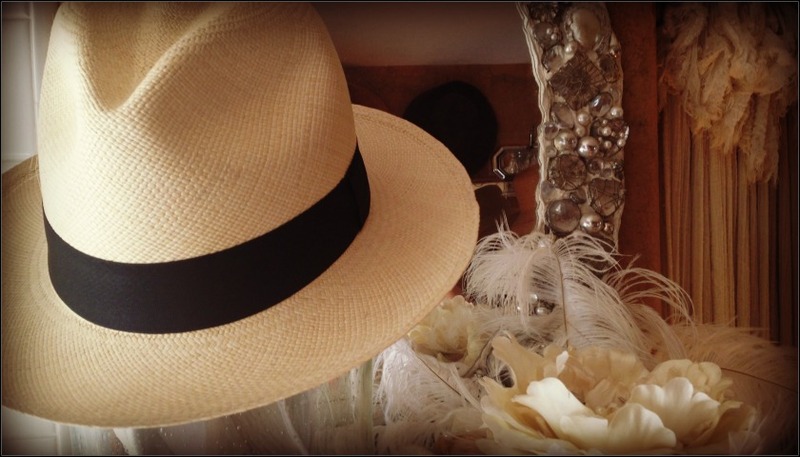 I love how you champion hats are your blog! Tamera, you always look so chic and stylish whether in a hat or turban, whether the hair is up or down. I don't have any great tips for you; I think you've got it covered! When I'm at home, the hair is usually up and the makeup is off. I'm wondering when I'll be brave enough to venture out with that look. Maybe never?? Thank you dear Heather for the kind words! My dear you are a true beauty who can easily forego the makeup and hair when heading out! Always elegant and attractive, at home or abroad. My dear your hair choice sounds perfect for your sassy self... that plus your red lipstick and converse... a style complete! I have always longed to be one who could carry off a short cut... and have instant style! Your enthusiasm about my creations has been balm for my soul... thank you! I have listed my first one. The link to my shop is at the top of my blog. Stunning stunning stunning. That is all. Thank you Bella dear! Your film noir cover shots are so creatively inspiring!! Oh Trina, I love "style savor"... that is a great term... I may be using that one in the future! Wishing you a wonderful week! Thank you so very much Anne-Marie that means a lot to me. Your post about your father was so precious! Gorgeous creature! I just look dowdy in a turban ... I think it takes a very delicate featured face and a youthful demeanor to wear one. Both of which you have, and you look adorable hair up, down, half-up, hatted, any-which-way! Have a great week, no matter what you wear. Thank you Jan for your kind, kind comments! Your cork insole solve was brilliant! I haven't had much luck with turbans but you inspire me to try again! Waaay back in the day I wore a lot of headwraps but now it's mostly hats. However, I've just ordered some human hair bangs, which will enable me to pull my hair back and up but still have some softness around my face. I'm keeping my fingers crossed that they work the way I hope. They'll be a summer lifesaver if they do. Jean the bangs sound like a wonderful idea... I look forward to hearing more about them! With your beauty Jean, I have no doubt turbans .... or anything would look fabulous on you my dear!